The course teaches the art of quantum mechanical calculations from both the chemistry and physics point of view. It, thus, falls somewhere between a laboratory course and a lecture course. In a laboratory course, you must learn by doing, and it is more important that you learn how to run the equipment well and how to interpret the data than that you learn how a piece of equipment is constructed and what exactly is under its cover. Similarly, in this course, you will learn how to run various quantum codes correctly and how to interpret the output of the codes, but you will not necessarily need to know how each algorithm in the 100's of 1000's of lines of code works. On the other hand, you will learn the theories behind the computer codes, so that you will be able to interpret the output of the codes. You will also learn about applications of computational quantum mechanical methods, in order to understand their potential and scope. Finally, you will gain insight into the current research and development of these methods to know where the field is going and what to expect in the future. Learn a different approach to solving scientific and engineering problems: performing quantum mechanical calculations and understanding their scope, possibilities and limitations. Gain a (partial) familiarity with the literature and be able to read it critically. Understand current research directions and possibilities. There are no specific prerequisites, just permission of the instructor. It is expected that students should be able relatively quickly to become comfortable with advanced concepts from mathematics and physics. Szabo, Attila, and Neil S. Ostlund. Modern Quantum Chemistry: Introduction to Advanced Electronic Structure Theory. New York: McGraw-Hill, Inc., 1989. ISBN: 9780070627390. There is no suitable textbook for this course. The best one still seems to be Modern Quantum Chemistry by Szabo and Ostlund, which is "required" for the course. Introduction to Quantum Chemistry by Frank Jensen has similar material, but also includes a discussion of density functional theory and has a useful chapter, 12 "Transition State Theory and Statistical Mechanics." It also has helpful descriptions of many of the methods that Gaussian uses. It is "recommended" for the course. Finally, see the References document for other helpful books. Gaussian03: Used to perform quantum mechanical calculations. GaussView: GUI, used to create job files, run jobs, and visualize output. CPMD: Car-Parrinello Molecular Dynamics Web site. There are five problem sets in this course. Each student is required to complete a final project. A bibliography of recommended reference texts are listed below the table. 2 Electronic Spin, Spin Orbitals, Molecular Orbital Theory, Valence Bond Theory Review quantum mechanics, Solution of hydrogen atom. 4 Mathematical Underpinnings, Dirac Notation, G03 Calculations Read SO, pp. 1-30. 7 Solution of H-F Equations (cont. ), Meaning of Eigenvalues, Basis Sets Introduction SO, pp. 108-122, 131-149. 9 Correlation, CI, MP Perturbation Theories SO, pp. 60-64, 320-326, 350-353; study graphs 375-376; skim SO chapter 4. 10 Density Functional Theory (DFT) - Introduction Read handout on DFT. DFT paper 1: Hohenberg, P., and W. Kohn. "Inhomogeneous Electron Gas." Physical Review 136, no. 3B (9 November, 1964): B864-B871. DFT paper 2: Kohn, W., and L. J. Sham. "Self-Consistent Equations Including Exchange and Correlation Effects." Physical Review 140, no. 4A – 15 (November 1965): A1133-A1138. 12 Coupled-Cluster Theories, QCISD, G1, G2 Skim SO, chapter 5. G2 Assessment: Curtiss, Larry A., Krishnan Raghavachari, Paul C. Redfern, and John A. Pople. 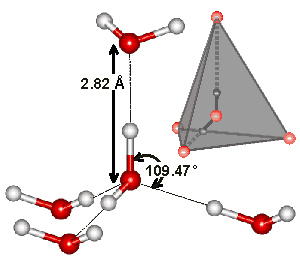 "Assessment of Gaussian-2 and Density Functional Theories for the Computation of Enthalpies of Formation." The Journal of Chemical Physics 106, no. 3 (15 January 1997): 1063-1079. G3 Theory: Curtiss, Larry A., Krishnan Raghavachari, Paul C. Redfern, Vitaly Rassolov, and John A. Pople. "Gaussian-3 (G3) Theory for Molecules Containing First and Second-row Atoms." The Journal of Chemical Physics 109, no. 18 (8 November 1998): 7764-7776. 16 Car-Parrinello Molecular Dynamics - Method Original Car-Parrinello Paper: Car, R., and M. Parrinello. "Unified Approach for Molecular Dynamics and Density-Functional Theory." Physical Review Letter 55, no. 22–25 (November 1985): 2471-2474. 17 Running the Car-Parrinello Code Review molecular dynamics from lecture 15 and 16. Jensen, Frank. Introduction to Computational Chemistry. New York: John Wiley and Sons, 1998. ISBN: 9780471980858.